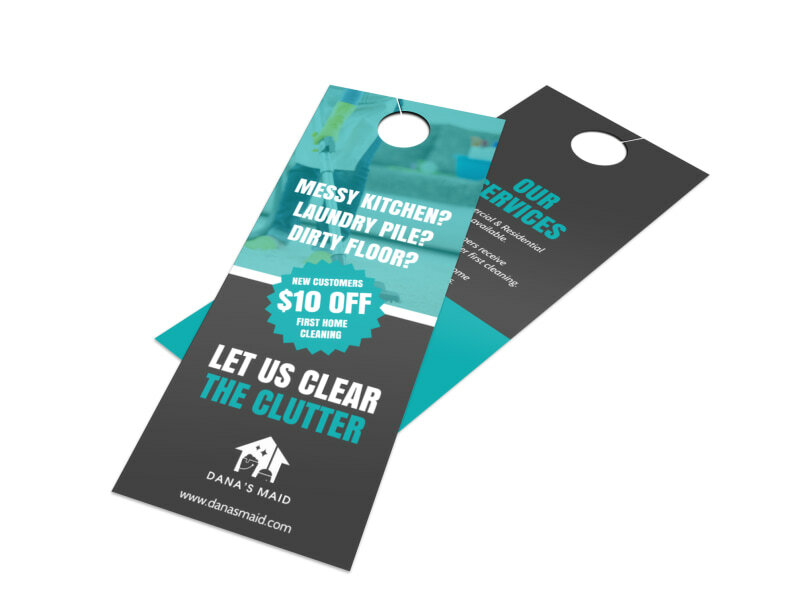 Customize our House Cleaners Door Hanger Template and more! 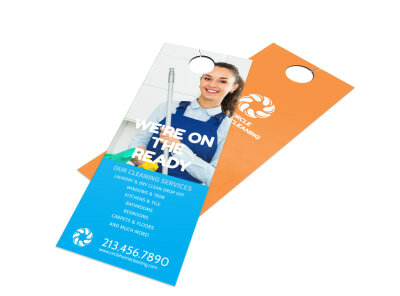 Promote your house cleaning service door-to-door with this customizable door hanger detailing your rates and availability. 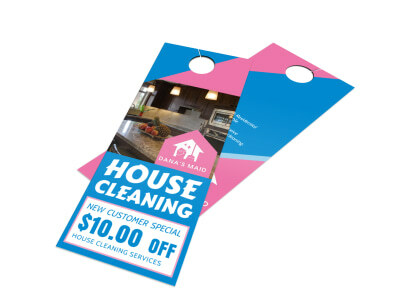 Transform your door hanger design into a coupon for new clients, or give the details about a special promotion that you have going on. We know you are going to enjoy the fast and easy design process, so learn to use our online editor and get started right away.